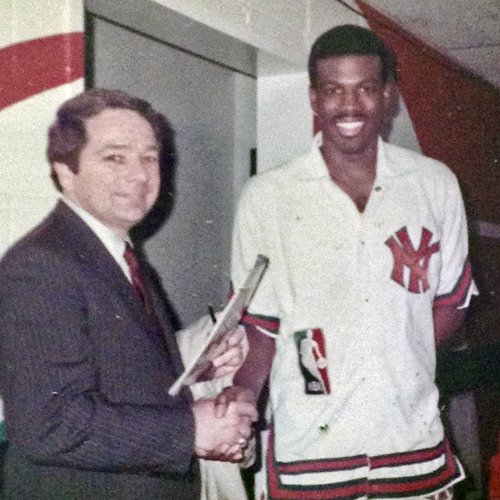 I had the honor of speaking with Bernard King in NYC the night he broke the Madison Square Garden single-game scoring record of 54 points. Given that UT’s basketball team is now ranked number one in the nation, it occurred to me that an excerpt from my new book about the previously untold story of my involvement in saving Bernard King’s college basketball career might be of interest to my readers . . .
Over the years, I have experienced many proud moments, but none greater than the rescue of an eighteen-year-old kid from the clutches of incompetent school administrators, misguided investigators from the National Collegiate Athletics Association, and unscrupulous basketball coaches smarting over the loss of a star athlete in a recruiting battle. The story of Bernard King is a classic tale of a poor kid who used his exceptional talents as a basketball player as his ticket out of a New York City housing project in the heart of a ghetto. Even in his early years in high school, King became a magnet, drawing the attention of scores of college recruiters. Tennessee’s Stu Aberdeen was relentless in his attempts to persuade King to sign with the Volunteers, and he ultimately prevailed, much to the chagrin of the other recruiters. King entered UT in the fall and made a smashing debut as a freshman starter with 40-plus points in the first game of the season. While the rising star was attracting great attention in Tennessee, some of the disgruntled recruiters who had lost the battle were quietly trying to convince the NCAA that King did not have the high school grades to be eligible to play at a Division I school. Somehow, they were able to secure a transcript that actually showed a grade point average below the required 2.0. With that transcript in hand, the NCAA informed Tennessee officials, and the university’s president immediately directed that King be pulled from the lineup and that Howard Aldmon and I immediately go to New York to investigate. It was quickly a classic NCAA case of a star athlete being guilty until proven innocent. Aldmon and I knew we were up against tremendous odds, given the presence of a transcript, the power of the NCAA, and the persistence of aggrieved recruiters from a couple of major colleges. We also knew we were walking into the lion’s den of public scrutiny, particularly with the New York City media. We took several precautions, tape recording every conversation with high school officials, working in tandem so that we had two witnesses to every action and conversation, and taking copious notes about everything we saw or did. My background as a journalist was a great asset. While cooperative and friendly, the school officials were extremely cautious, volunteering nothing and qualifying answers with little detail. They knew that an aggressive media was also watching them. It typically took multiple follow-up questions to get even the most elementary fact on the table. 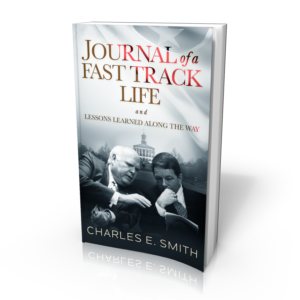 Such was the case with one of the major and most pivotal disclosures we were able to uncover in the three-day investigation. In answer to a direct question as to whether King had taken any evening or summer courses that may not have been reflected in the transcript that had been bootlegged to the NCAA, the high school officials looked at one another and then one of them stated that King had taken nine hours of courses over the summer between his junior and senior years. When asked why the passing grades in summer school had not been reflected on the transcript, they responded that it had apparently been an oversight. Never mind that the high school had previously certified to Tennessee officials that King had the requisite 2.0 average. During our visit, we also discovered that some of King’s grades in the school’s official records had not been accurately reflected in the transcript. Some were higher, and some were lower. The net result was that at the end of the three days, school officials handed us an official, certified transcript reflecting exactly a 2.0 average. With tape recorders rolling, we asked repeatedly if the school officials were certain that the transcript being handed to us was a true reflection of King’s academic record. Yes, it was, they assured us. Throughout the three days in New York City, we maintained close contact with Dr. Earl Ramer, the university’s longtime faculty chairman of the athletics board and a well-respected former two- time president of the NCAA. He advised us on every step we took, particularly on documentation that would be needed. We left New York City for the return trip to Tennessee with mixed emotions, relieved yet anxious about the ordeal we had just experienced. Several times on the flight home, I was tempted to do my own calculations on the cumulative grade point average, but each time I decided to wait. Only after I was at home did I pull out a calculator and punch in the grades of all the courses taken by King. Then, as I hit the “total” button on the calculator, I held my breath for the result. When the screen displayed a 2.000000, I wanted to scream with joy. The next day a full, written report was hand carried to Dr. Ramer for submission to the NCAA. King returned to the basketball court, and immediately he again lit up the scoreboard. King went on to become an All-American basketball star at the university and then became one of the dominant National Basketball Association players of his era. Aldmon and I were relentless in our search for the truth, and to this day I steadfastly believe that justice was done. Over the years, members of our family have often heard the words “Bernard King moment” to describe a personal achievement. At age fifteen, grandson Blake exceeded expectations and made the varsity basketball team as a freshman. A few weeks later, our then eighteen-year-old grandson, Harris, was awarded a free trip to Yokohama, Japan, by winning a national competition in the popular card game Magic. Both succeeded against all odds. And in my retirement years, I have had the opportunity to watch grandson Ben achieve the 1,000-point club during his high school basketball career, to take pride in granddaughter Nicole earning her college degree and gaining multiple promotions in her first job, and marvel at youngest grandson Brady emerging as a starter offensively and defensively on his school football team. -adapted from Journal of a Fast Track Life, Chapter 13, © 2018 Charles E. Smith. All rights reserved.